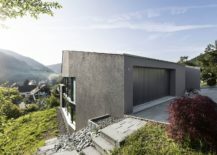 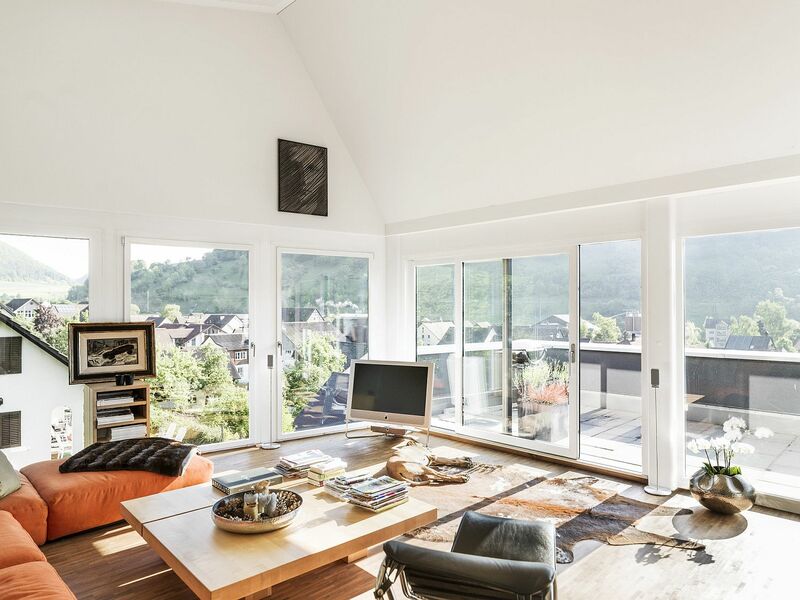 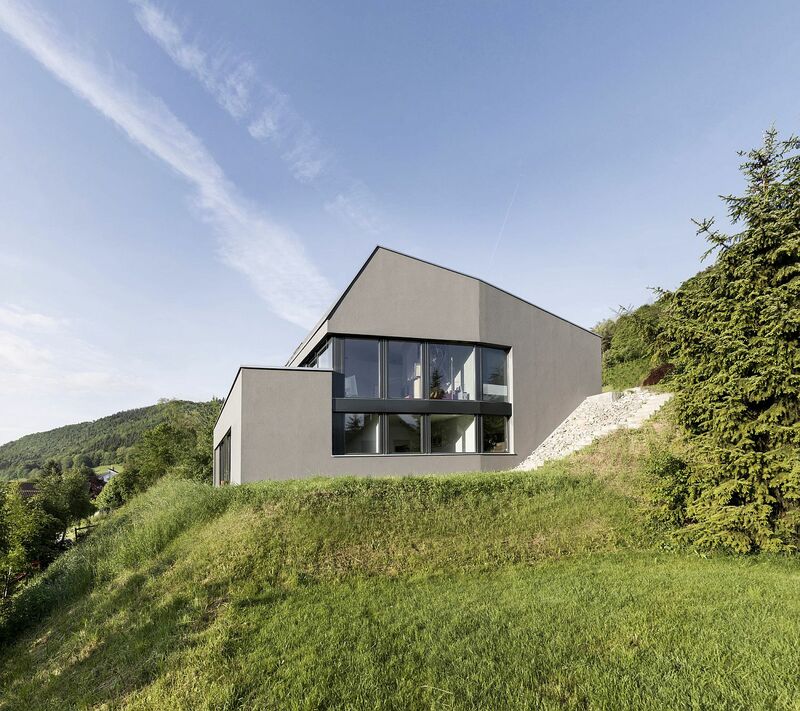 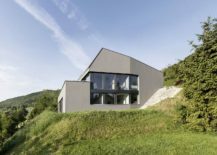 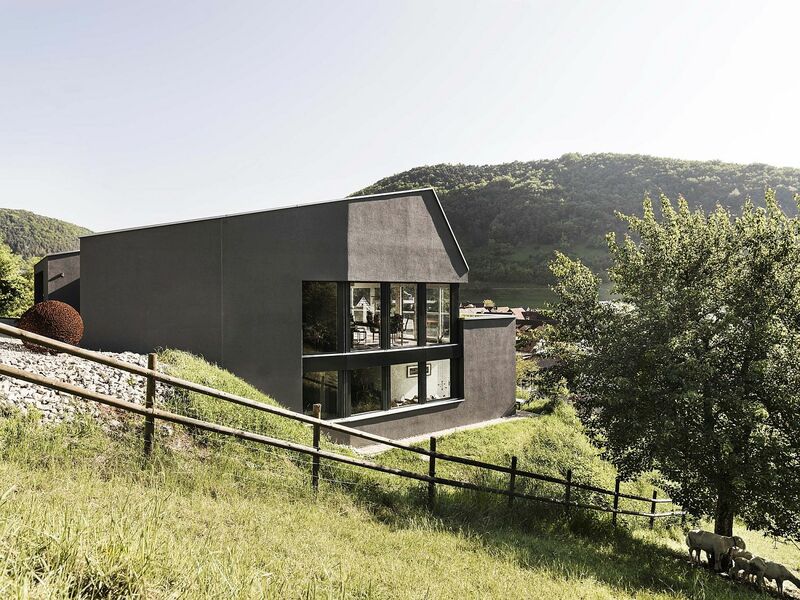 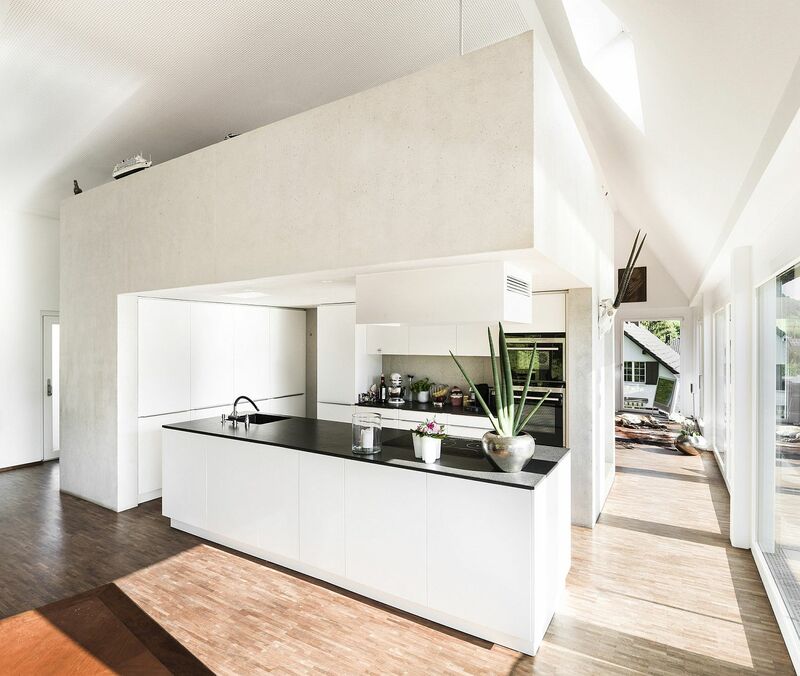 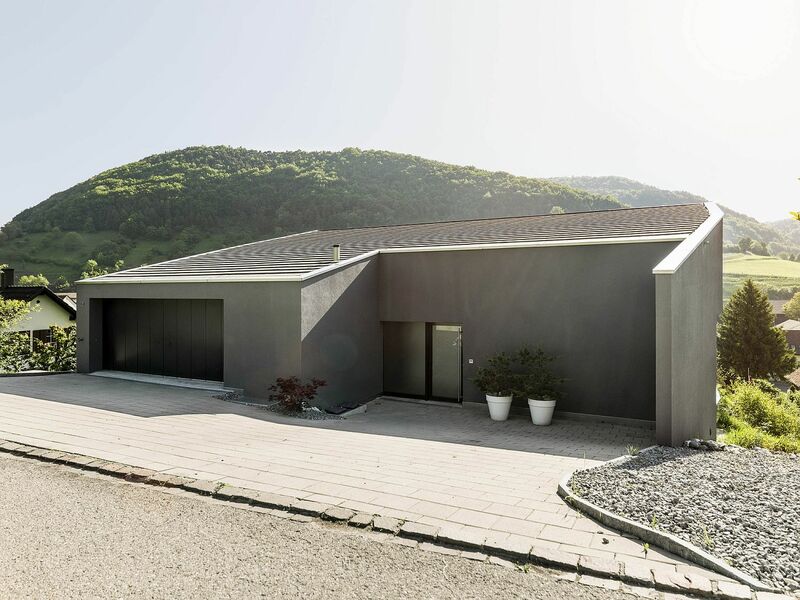 Set in an idyllic landscape filled with majestic mountains and a lush green landscape that comes alive each summer, Single Family House on a Slope in Merishausen, Switzerland brings modernity to a relaxing rural setting. Designed by Dost, this contemporary residence in gray sits on a sloped lot (not a surprise) and overlooks the village below. 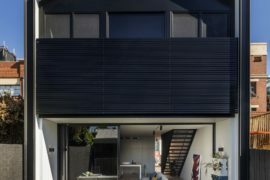 Despite its private and modest street façade, the house opens up towards the view below as its rear front features large glass windows and sliding doors that bring the outdoors inside. 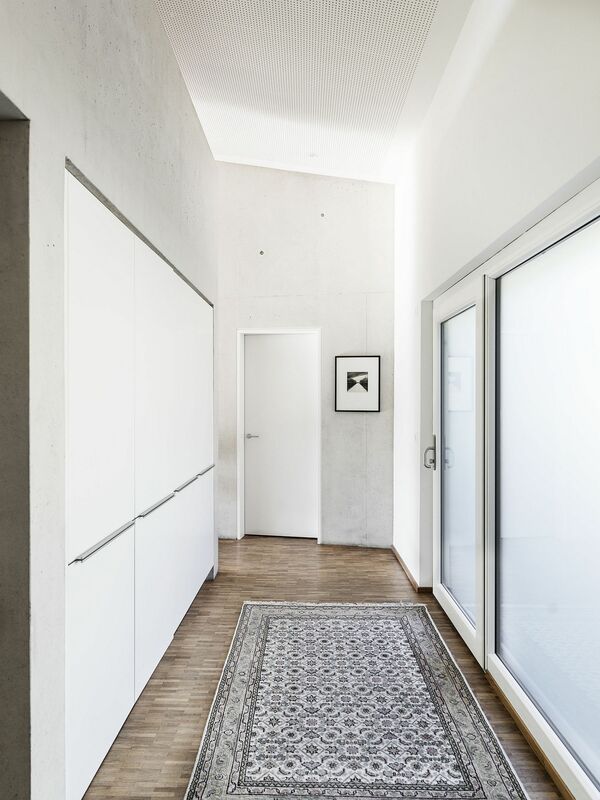 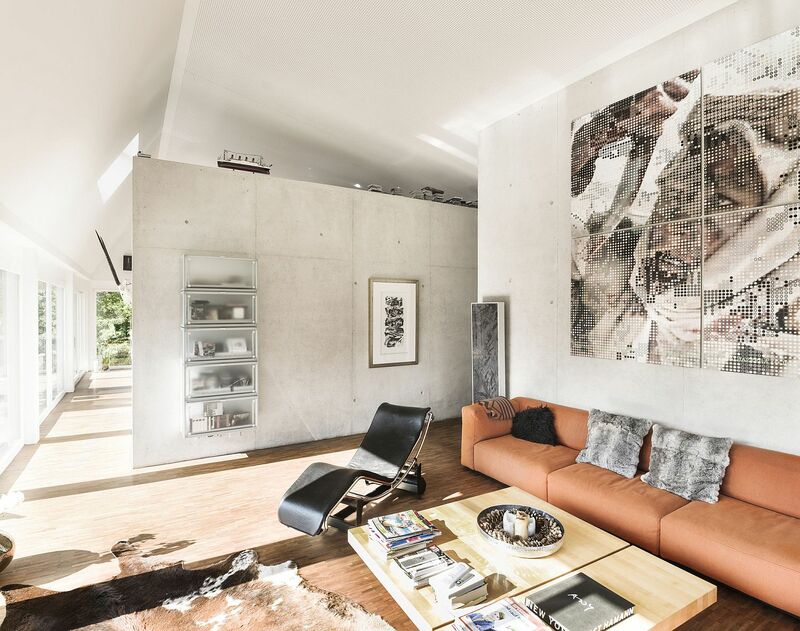 With an interior in wood and concrete, this smart Swiss home combines a hint of rustic charm with refined modernity in a seamless fashion. 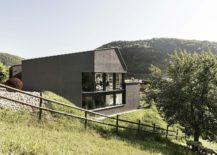 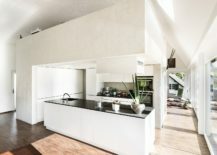 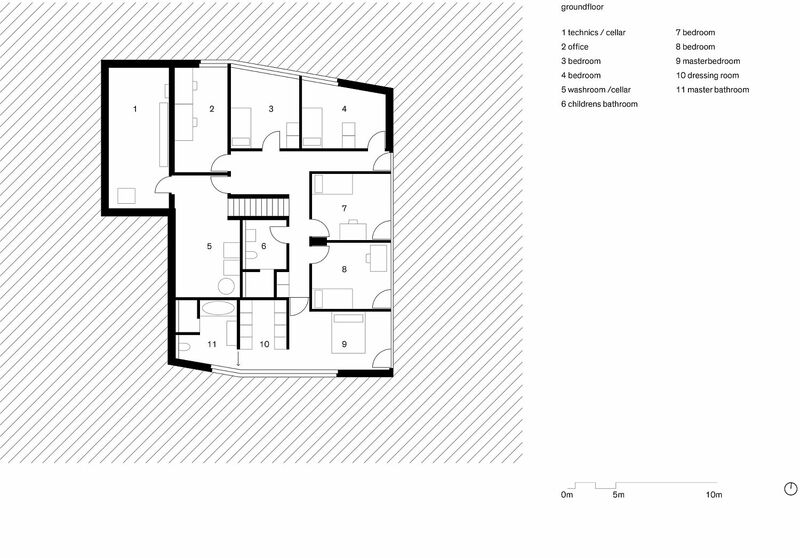 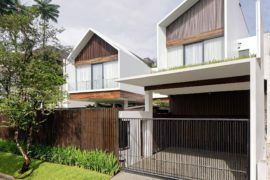 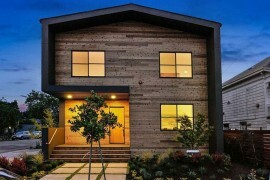 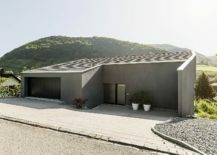 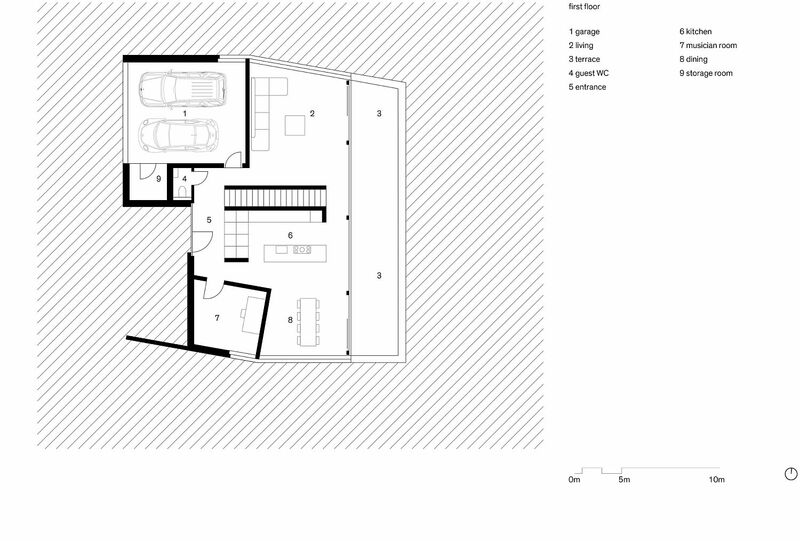 A unique feature of the house is its distinctive pitched roof and polygon façade that were largely determined by the slope of the site, local building norms and a desire of the homeowners to combine privacy with unabated views. 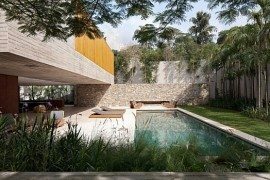 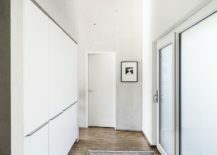 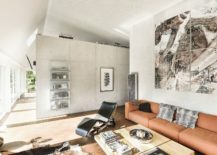 Even though concrete and wood are extensively used throughout the house, it is a neutral color scheme coupled with curated décor and high-end art pieces that give the residence a sophisticated, contemporary aura. 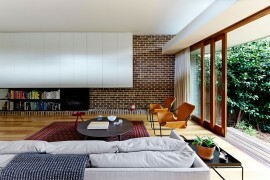 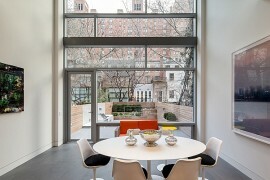 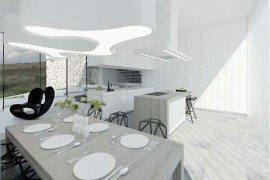 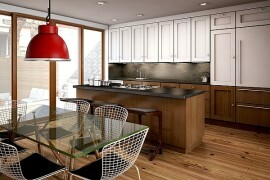 This continues in the sleek kitchen and the inviting dining space where color is kept to a bare minimum.